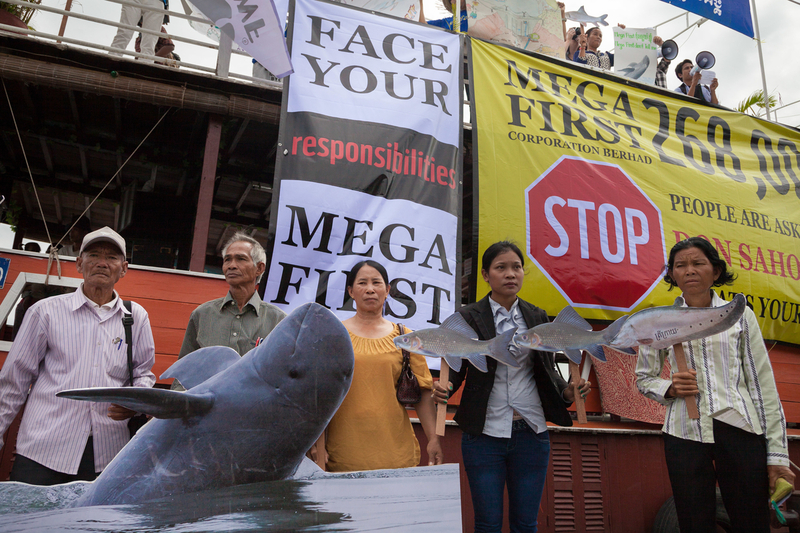 Phnom Penh, Cambodia – WWF today staged a public event to share the concerns of more than a quarter of a million people who are calling on Mega First Corporation to suspend construction of the controversial Don Sahong hydropower project on the Mekong River. Since May this year, 12,404 concerned Cambodians have added their name to a WWF public petition opposing Don Sahong dam. The local action, supported by members of the River Coalition in Cambodia (RCC) under the facilitation of the NGO Forum on Cambodia (NGOF), was bolstered by a global online petition signed by 255,596 people representing more than 200 countries. 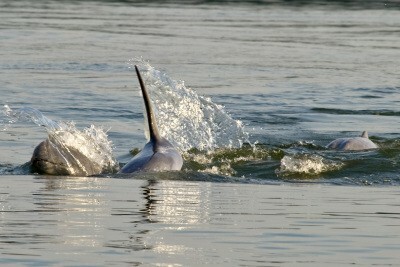 Laos’ Don Sahong dam could herald the demise of important fisheries and critically endangered Mekong dolphins. Around 85 dolphins are now restricted to a 190km stretch of the Mekong River between southern Laos and north-east Cambodia, with the dam project in southern Laos located just one kilometre upstream of the dolphins' core habitat. 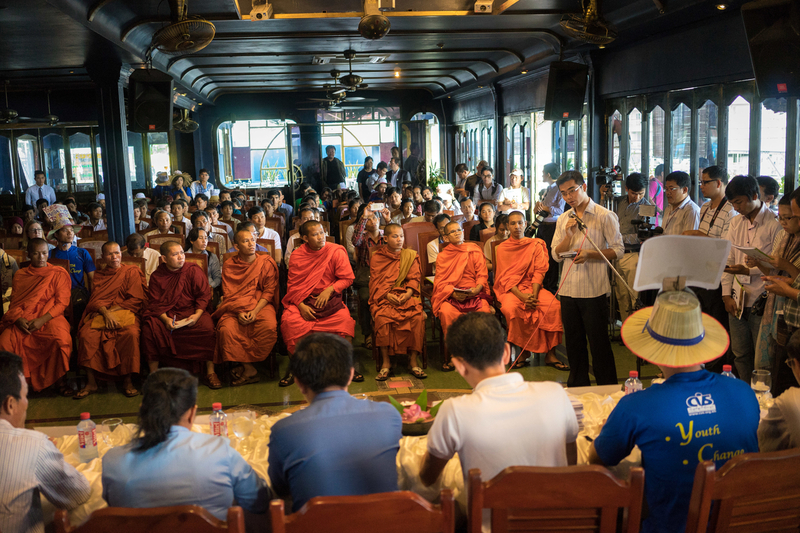 The Stop Don Sahong dam event, hosted by WWF and the RCC, included 25 community members from the Mekong River and Tonle Sap, 50 youths from Phnom Penh, NGO representatives, and Buddhist monks working on conservation awareness along the Mekong River. 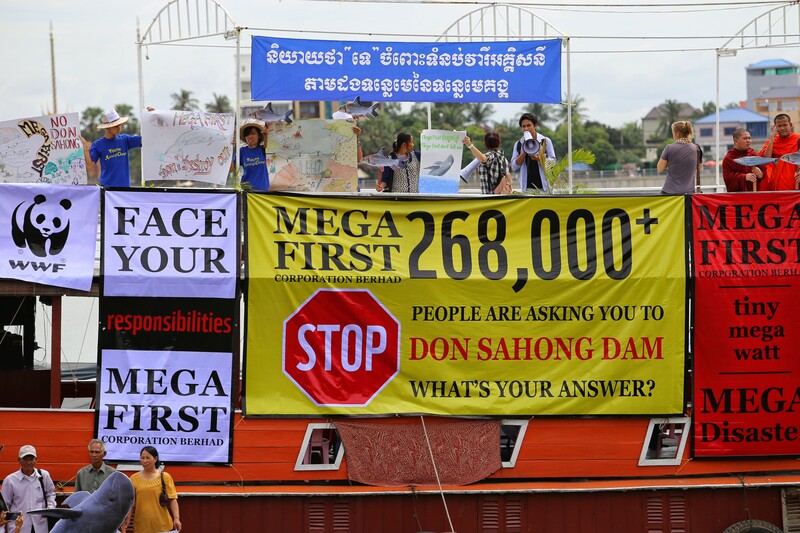 As part of the event, boats travelled along the Mekong River displaying banners calling on Mega First to respond to the huge public opposition to their project. The dam builders intend to excavate millions of tonnes of rock using explosives, creating strong sound waves that could potentially kill dolphins which have highly sensitive hearing structures. Increased boat traffic, changes in water quality and habitat degradation represent other risks. WWF analysis has also revealed that the Environmental Impact Assessment (EIA) conducted by Mega First uses flawed and incomplete research. The dam will block the only channel available for dry-season fish migration, putting at risk the world's most productive inland fisheries and the livelihoods of 60 million people living in the Lower Mekong Basin. In June this year, the Lao Government announced its decision to have the Don Sahong dam undergo the Mekong River Commission's (MRC) consultation process. The process requires Laos to hold inter-governmental consultations before proceeding with the dam, and conduct and share studies on the project’s environmental and social impacts. The process will take at least six months to complete. WWF and the RCC are calling for an immediate halt to any further development of the Don Sahong dam until the developers have addressed significant gaps identified in the project documents, such as the feasibility studies and the Environmental Impact Assessment (EIA). Additionally, an independent and sound assessment of the Don Sahong project against more sustainable alternatives must be conducted. 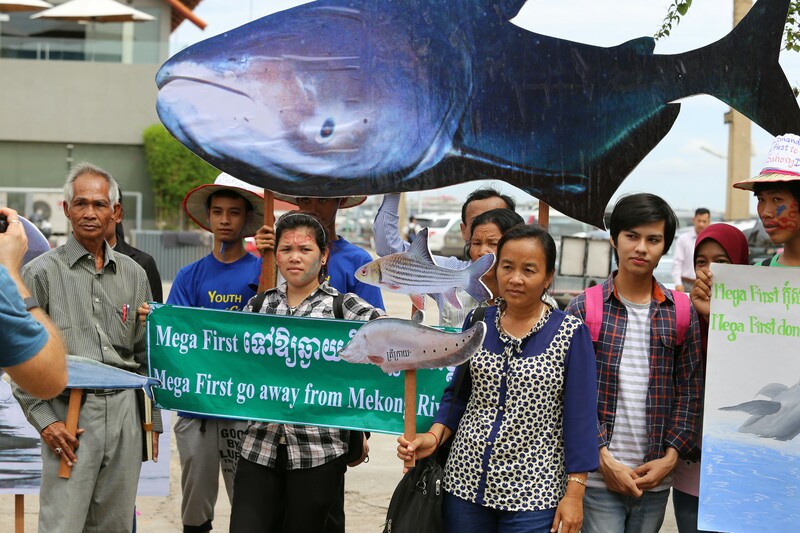 WWF public event to share the concerns of more than a quarter of a million people who are calling on Mega First Corporation to suspend construction of the controversial Don Sahong hydropower project on the Mekong River. The Stop Don Sahong dam event included community members from the Mekong River and Tonle Sap. The Stop Don Sahong dam event included Buddhist monks working on conservation awareness along the Mekong River.